This technical white paper provides guidance for implementing Windows Server 2016 Technical Preview 5 on HPE ProLiant servers. 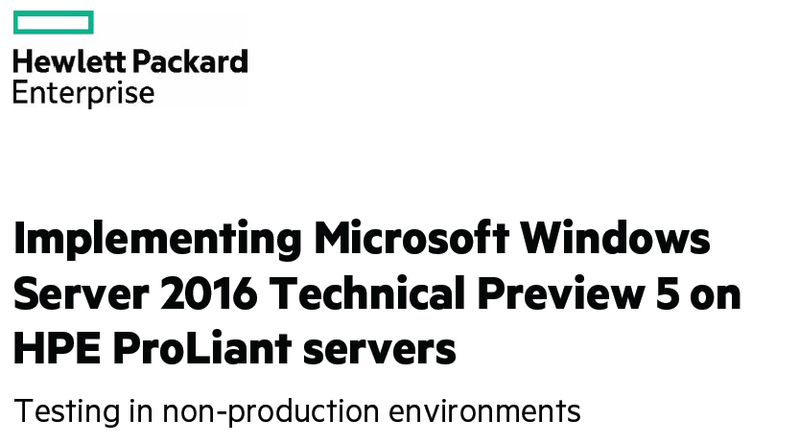 Download the HPE Windows Server 2016 Technical Preview 5 Supplement to the SPP here. This entry was posted in Windows Server 2016 and tagged HP. Bookmark the permalink.